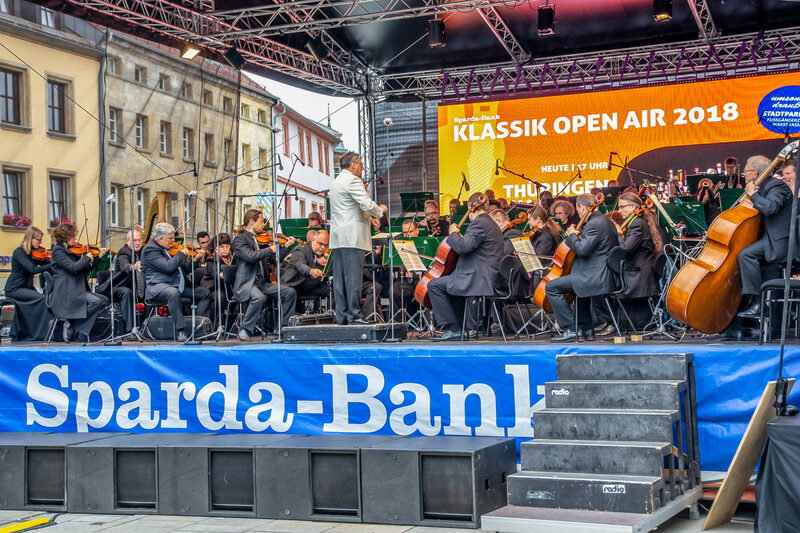 Free & outside: the classic open air event, sponsored by the Sparda Bank, takes place on May 6th , June 28th and 29th 2019 downtown Bayreuth. The musicians play for connoisseurs and lovers of music with the same enthusiasm as for people who still have to discover classical music for themselves. On Saturday June 29th 2019 at 8 PM, the Jungen Fürther Streichhölzer are guests with the program “Classic goes Hollywood”. Besides the clarinet concert in A major from Wolfgang A. Mozart and “Nimrod” from Edward Elgar from the Enigma-variations, also the sounds of modern classical music will be heard such as the music from the film “The Magnificent Seven”, “Star Wars” or “Pirates of the Caribbean”. The symphony orchestra consists of young people from the age of 15 and is directed by Bernhard Müller. .